We are professional home buyers – Rapid Home Liquidation – We Buy Houses in Medford Lakes, New Jersey and the surrounding area in Burlington County, NJ in as little as 7 days without you having to put up any of your own cash to get the deal to the closing table. Our privately owned corporation will purchase your house using our own private funds in 7 days, or whatever date that works best for you, your family, and your current life situation. We are extremely flexible with our contracts and clauses and can navigate extremely complex circumstances that need the attention of someone intelligent, dedicated, and experienced. All of our team members have had extensive experience in the field, and we are highly confident in our ability to close on your home because we are professional local home buyers who do this for a living. 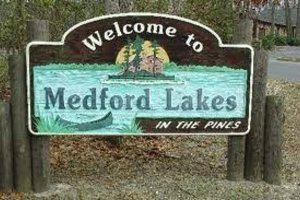 Feel free to reach out to us at any time via call or text at (215) 882-9828 for a risk-free quote on your Medford Lakes home. Why Gamble With Unreliable Companies? What’s the point of entertaining competing offers from companies that are much higher than the average investor’s offer, but who are unable to deliver when it comes time for the money to be wired to the title company? There is no point. It’s a waste of time to shop around when you are shopping around at multiple low-quality companies. One reasonable offer from a reliable company who can close swiftly holds a lot more merit than an inflated offer from a company who is unable to get the funds together by the closing date. For more details on selling quickly in South Jersey please read the following article to get a free quote on your home today!